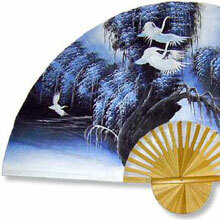 Oriental-Decor.com carries the largest selection of hand-painted wall fans on the Internet. 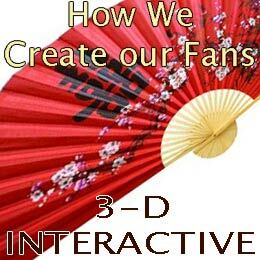 We have five distinct categories of painted folding fans, with something for everyone. 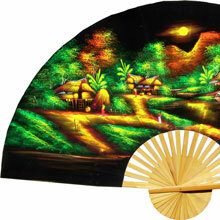 These all original bamboo-framed, hand-painted wall fans must be seen in person to be fully appreciated. We have two sizes of wall fan. 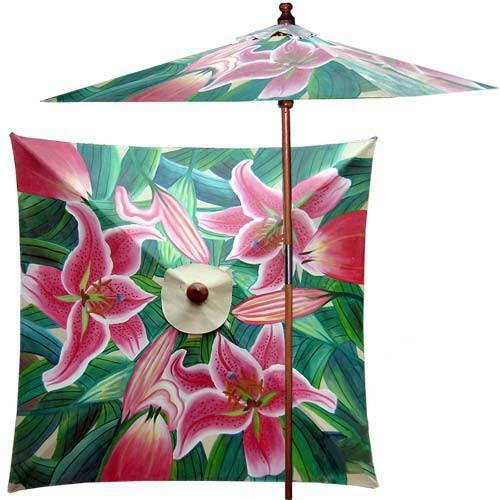 The small sized wall fan is 24" high and opens to 40" wide. The large wall fan is 35" high and opens to 60" wide. Check out our complete selection of wall fans today. 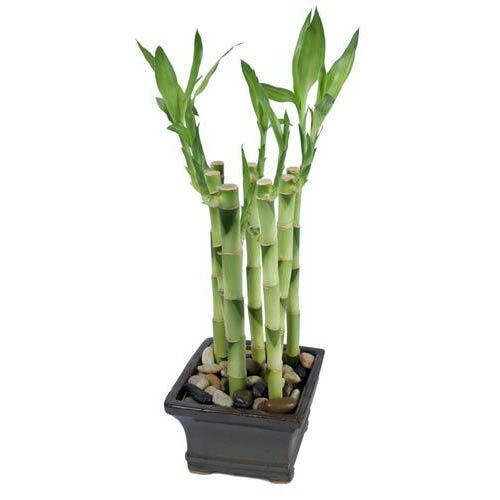 We have dozens of colors and styles to match almost any decorative theme. 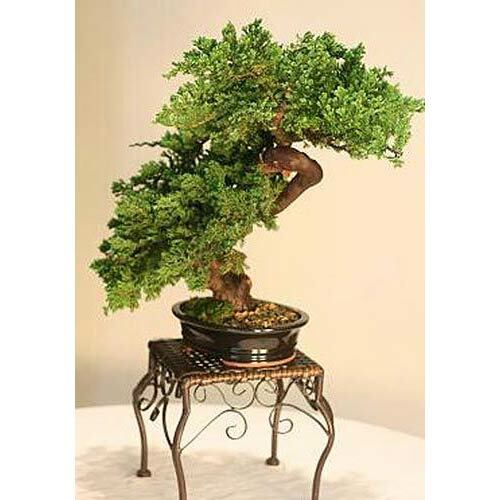 When the Oriental Wall Fans are unfolded they measure 60 inches in width and 35 inches in height. 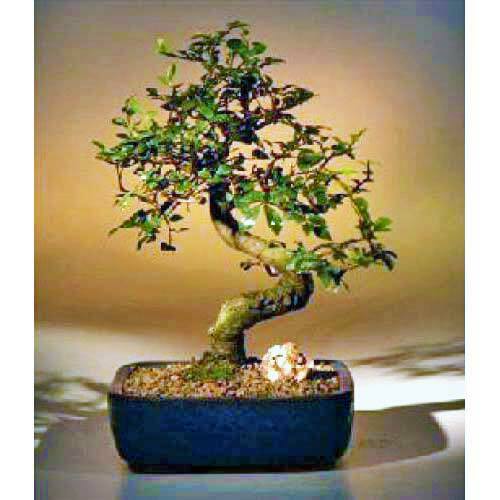 The smaller sized fans measure 40 inches in width and 24 inches in height. 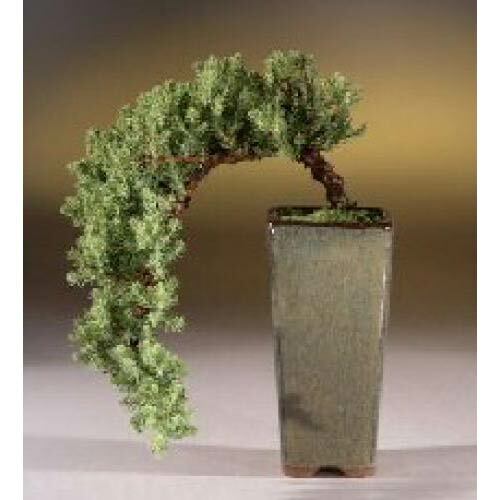 These wall fans make the ideal decorative item as they are large, attractive and low priced. We at Oriental-Decor.com are dedicated to bringing you the highest quality wall fans at the most affordable prices anywhere online. When the large Chinese wall fans are unfolded they measure 60 inches in width and 35 inches in height. The smaller sized fans measure 40 inches in width and 24 inches in height. 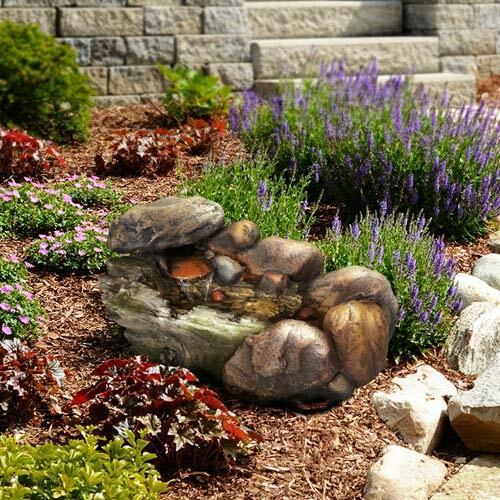 These wall fans make the ideal decorative item as they are large, attractive and low priced. We at Oriental-Decor.com are dedicated to bringing you the highest quality wall fans at the most affordable prices anywhere online. 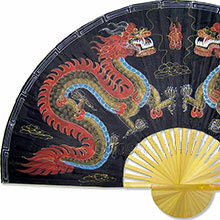 Our Asian wall fans have a classic and distinctive style uniquely different from all of our other wall fans. 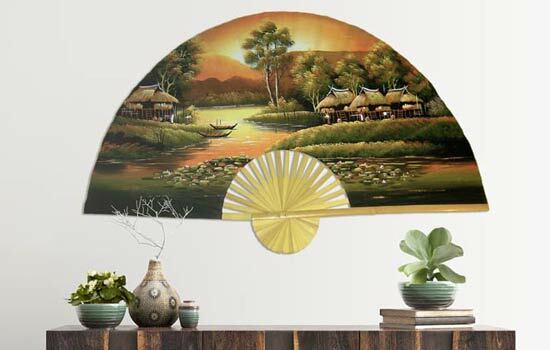 Each Asian wall fan is a specially handcrafted work of art fashioned in the Asian style. 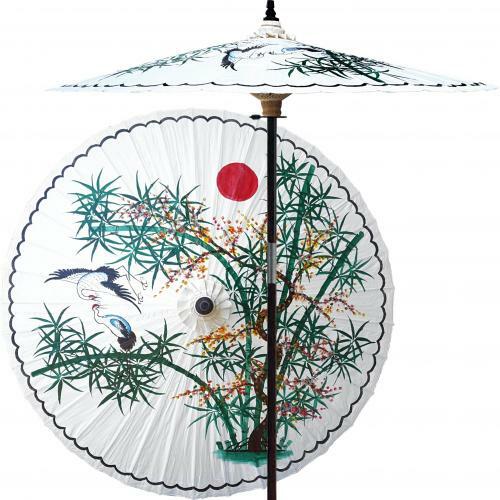 These fans from Asia have an exquisite gold leaf background, black-painted bamboo wood and colorful hand-painted designs. 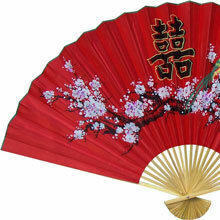 Additionally, each Asian fan includes strings on the back that allow for easy mounting. 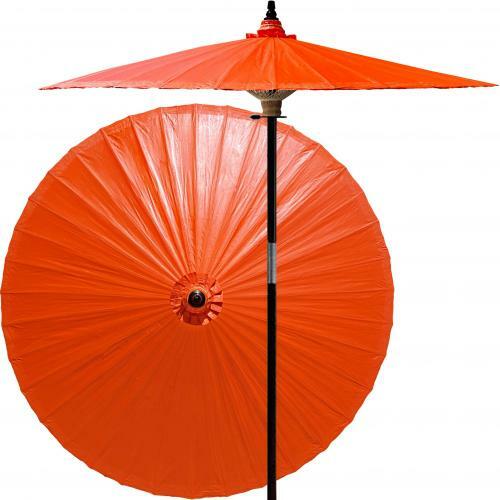 These classic Asian wall fans are some of the most beautiful Oriental decor that we carry and will make an extraordinary centerpiece on any wall.